The No. 19 University of Wisconsin men’s basketball team (17-7, 9-4 Big Ten) fell to the No. 7 Michigan Wolverines (22-2, 11-2) on the road Saturday morning 61–52. 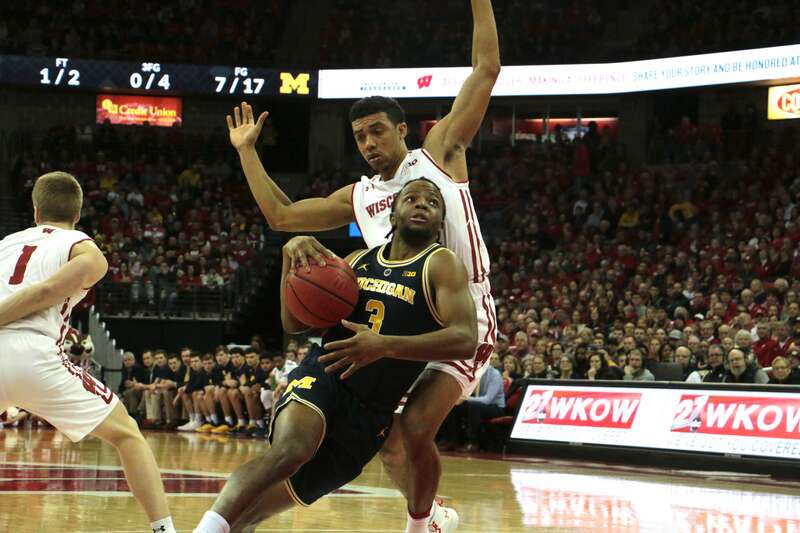 The Badgers kept it close much of the way before the Wolverines managed to pull away late for the win to keep themselves in first place in the Big Ten. Wisconsin entered the game having won six consecutive games, including two wins over ranked opponents. 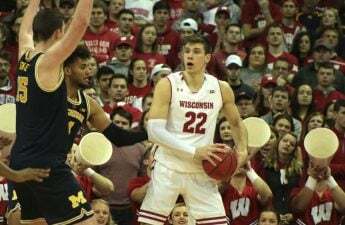 The Badgers took a quick lead out of the gates before Michigan was able to pull even behind strong three-point shooting, including three triples from junior center Jon Teske. The Badgers went into the locker room at the halftime tied at 27, but Michigan looked better overall in the first half. In comparison to Michigan, Wisconsin shot a measly one of seven on threes in the first half, something that needed improvement in order for the Badgers to have a chance to win. While Wisconsin was able to hold Michigan to no three-pointers in the second half, their interior defense was astonishingly poor, allowing Michigan to shoot 14-of-19 from inside the arc. The Wolverines never trailed in the second half after going on a 9-4 run to open the half and finishing the game on a 10-2 run. 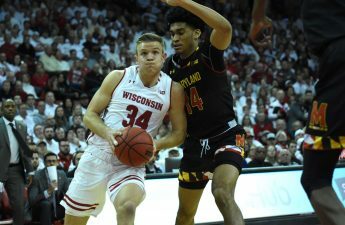 Key performers for the Badgers consisted of sophomore Nate Reuvers, sophomore Brad Davison and senior Ethan Happ. Reuvers and Davison each finished with nine points, with Reuvers adding three blocks and six rebounds and Davison adding five rebounds of his own. Happ finished with another double-double, including 18 points, 11 rebounds and two blocks. For Michigan, senior Charles Matthews had 18 points, 16 of which came in the second half. Teske added 17 points and 12 rebounds, and sophomore, Milwaukee native Jordan Poole finished with 10 points and nine rebounds. The loss snaps the Badgers six-game winning streak but provided some motivation for the Badgers over the rest of their season. Michigan won their second straight after losing to Iowa in early February. Michigan also managed to add a game to their lead over the Badgers in the Big Ten, moving to 12-2 in the conference compared to Wisconsin’s 9-4 record. Wisconsin will need some help the rest of the way to improve their position heading into the Big Ten tournament. Looking ahead for the Badgers, they will take on No. 9 Michigan State at the Kohl Center Tuesday night at 6 p.m. The game will be a “sea of red,” so be sure to wear red if you’ll be in attendance. The game will also be televised on ESPN2 and broadcast on the Badger Radio Network.